On May 20, 2013, a tornado with more than 200 mph winds touched down in Moore, Oklahoma. 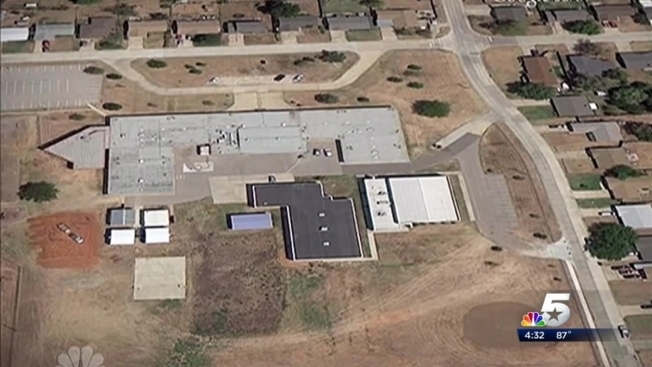 When the winds and debris settled, Plaza Towers Elementary School in Moore was decimated with children trapped inside. Robert Romines is the new superintendent of Moore public schools and remembers that day well. "We began to dig kids out from under rubble," said Romines. "The only way were were able to find some of them [in the darkness of the rubble] was with the whites of their teeth and their eyes." Seven children, all third graders, died that day. "It's overwhelming still to look back and think that it's a miracle that we didn't lose more than seven," said Romines. Plaza Towers Elementary School is now being rebuilt on the same site. When it re-opens in the fall of 2014, the school will include a below ground storm shelter. "It's built within our early childhood wing where our Pre-K and kindergarten classes will be held," said Romines. Romines said the shelter will hold as many as 800 people. And the safety spot is not just for students. Once storm sirens go off, anyone who comes to the school to take their child home will instead be welcomed to wait the storm out in the shelter. Last May 20, Romines said some parents tried to head home from the school only to drive straight into the tornado's path. "We want families to come and take shelter," said Romines. Romines is a Moore native who believes rebuilding Plaza Towers is part of the community's vow to stay strong. "We've got people that no matter how hard they get knocked down, they're gonna get back up," he said.